Can't play embedded YouTube videos in Chrome. Won't load and shows a black box. Try resetting Chrome browser settings. I've been having an issue with Chrome for a few weeks where it won't play YouTube videos that are embedded in another webpage. It just shows me an empty black box with no thumbnail of the video or playback controls. If I go directly to YouTube.com to watch the video, I don't have any problem. Embedded videos play fine in Internet Explorer. I tried manually disabling all of my Chrome extensions and clearing my cache but none of that helped. Just today (8/20/2013) I see that there is a new Chrome update available. One of the features is a new "Reset browser settings" button. It resets everything back to the default settings but keeps basic customization like bookmarks, themes, etc. I thought it would remove all of my extensions but in fact it simply disabled them. I'm glad to report that this DID fix my issue with embedded videos! I then went back in and enabled all of my extensions again and the embedded videos are still working! Woo-hoo! So whatever this reset did, it took care of my problem. Scroll to the bottom and hit "Show Advanced Settings"
Windows 7 PC wakes up on it's own. How to stop it from waking automatically. I had built a new Windows 7 PC for a customer that I found was randomly waking up from sleep on it's own while just sitting in my office. I determined that it was the network adapter that was waking it up. Now unless you have a machine that you are trying to log into remotely when it's asleep, you can probably disable this feature. Open your Device Manager - hit the Start button and type "device manager" and hit enter. Should take you right to it. Expand the item called Network Adapters. You may see more than one network adapter listed here. I suggest starting with your hard-wired Ethernet LAN adapter before trying this on any wireless adapters. Right-click the adapter and hit Properties. You should see a Power Management tab. Switch to that tab. The settings in this tab will vary depending on your particular adapter, but what you want to look for is any option that mentions "Allow this device to wake this computer", "Wake on LAN", "Wake on link", "Wake on Magic Packet", etc, and disable (un-check) that option. Recently after upgrading one Office 365 user from Lync 2010 to Lync 2013, his Outlook 2010 was no longer displaying the "presence" indicators - the little green/red/yellow status bubbles next to people's name. It seems there can be a variety of different causes and fixes, but in this case, the following information is what helped me out. The "UpAndRunning"=dword:00000002 value indicates that this particular IM service is available for use. The system appears to be confused, thinking that both Communicator (the old name for Lync) and the current version of Lync are available. What you need to do is to go to the entry for Communicator and change the dword value to 0. Now restart Outlook and see if your presence indicators are back. I ran into an issue when trying to move a users contact list from Lotus Notes into Outlook 2013. He had exported out his 146 contacts into a single vCard file. But when I imported that vCard into Outlook, it only gave me a single contact, not the full list. After some research, it turns out that Outlook doesn't support the vCard format very well and it doesn't have the ability to recognize multiple contacts in a single vCard. There seemed to be a variety of tools out there for download that would help with this task but I was looking for a free solution. So after jumping through a couple of simple hoops, I was able to get them into Outlook. Log in to any Gmail account that you might have and go the Contacts area - you can create a new folder for these temporary contacts but it did that automatically for me with a folder called "Imported 6/4/2013". Now import your vCard file into your Gmail Contacts. Now go into Outlook, and go to File -> Open & Export -> Import/Export (in the case of Outlook 2013, it may vary but it will be similar in other versions of outlook.) Now in the import/export wizard, select "Import from another program or file" and then "Comma Separated Values" (CSV), select your CSV file that you exported from Gmail and then select your Contacts folder as the destination. Now you should have all of your Contacts imported into Outlook! Recently one of my users had a problem connecting to their Remote Web Workplace portal on their Windows Small Business Server 2003 (SBS 2003). I found that their browser at home had recently been upgraded to IE 10 which was the source of the problem. I think this has also been causing issues for Windows 8 users as well. 2. Add the domain name or IP address of your RWW site to the "Trusted Sites" list in your Internet Options in IE (click the little gear-shaped icon in the upper right corner and go to Internet Options. Then Security tab, then green Trusted Sites icon then Sites button). Restart IE and try again. This should fix the issue for you. You may need to let it re-install the ActiveX plug-in again. Now that the latest update for Office 365 is rolling out to customers, I've seen some cool new features in the Dashboard area. For example there is a chart that is displayed that shows you how many of your users haven't logged into the system in the past 30 days or 90 days. Unfortunately it won't actually show you the names of those users so you can't really act on that information. 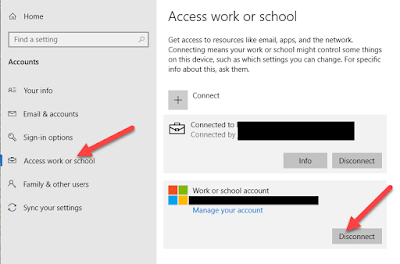 Note : If you need some help getting connected with Powershell, you can look at this earlier blog post of mine that tells you how to connect and run these commands.